Versele-Laga Base Plus I.C. 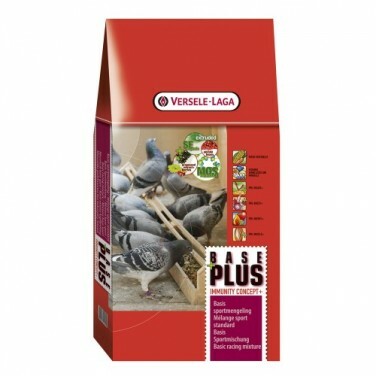 is a quality complete food for racing pigeons with the special Immunity Concept+ racing pellet. Base Plus I.C.+ is a basic sports mixture without maize. This food is eaten well by pigeons.